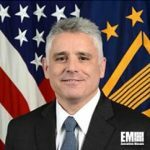 Gregory Christ serves as the director for intelligence, surveillance and reconnaissance operations at the Office of the Under Secretary of Defense for Intelligence. In this capacity, he supports the Defense Department to develop ISR operations and special projects intelligence policies and guidance for USD(I)’s defense intelligence, counter-intelligence, counter-terrorism and security initiatives. He is also responsible for coordinating the Sensitive Reconnaissance Activities and Operations Program. Christ served on active duty for the U.S. Air Force for 27 years and was a vice commander of the 432d Wing and 432d Air Expeditionary Wing at Creech Air Force Base in Nevada. He retired from military service as a command pilot with more than 3,775 flight hours in 43 different aircraft prior to joining the Defense Intelligence Senior Executive Service in 2014. He is a recipient of the Defense Superior Service Medal, Legion of Merit and the Presidential Unit Citation. Christ achieved his Bachelor and Master of Science Degree in Physics from Indiana State University and his Master of Military Operational Art and Science from the Air University.